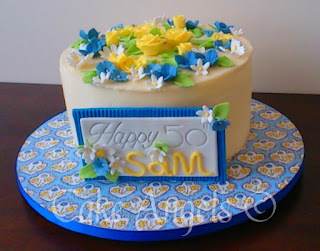 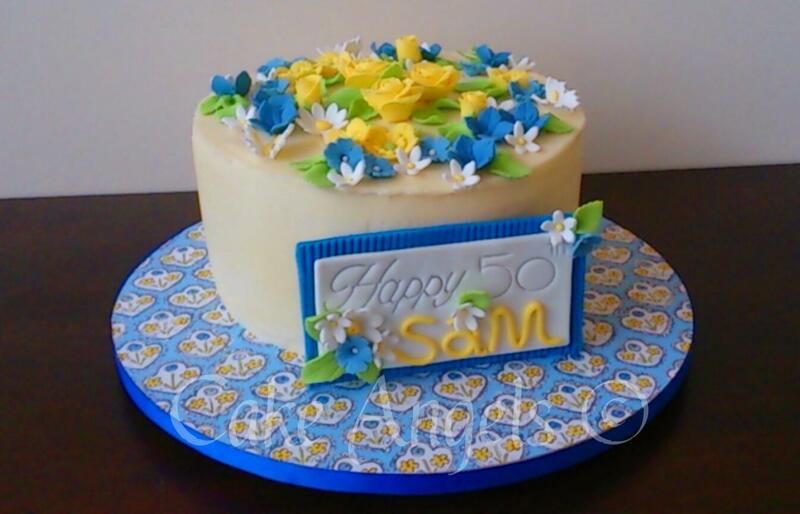 A surprise present for a friend's 50th Birthday who loves Blue and Yellow Flowers. 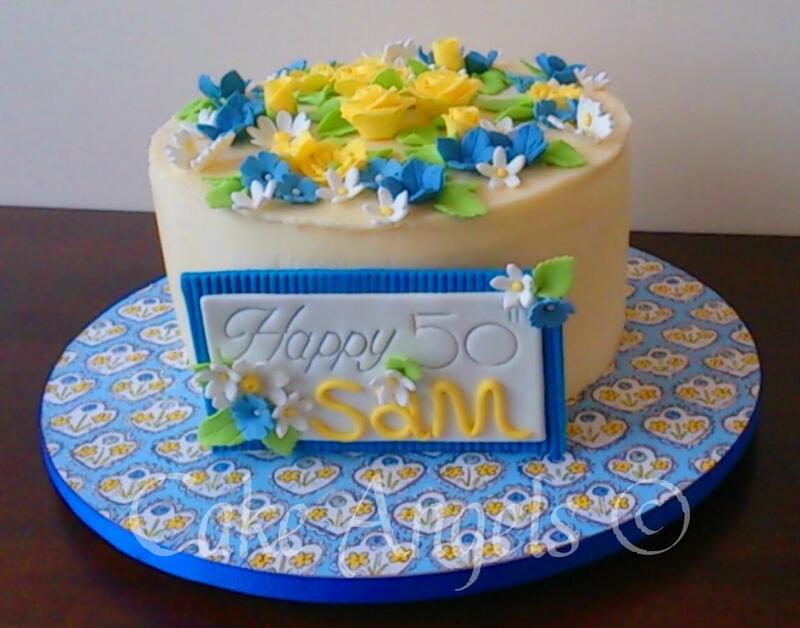 A Cake Angels Cake - the perfect present ! !